MPs will tomorrow vote again on British Prime Minister Theresa May’s Withdrawal Agreement. “WE ARE APPROACHING the position of a hard Brexit,” according to Finance and Public Expenditure Minister Paschal Donohoe, following today’s Cabinet meeting which focused on Brexit. This morning, Donohoe said he met heads of Revenue, NTMA, Central Bank and the Strategic Banking Corporation of Ireland to discuss their Brexit preparations this morning. He told reporters that a no deal will have a “sudden, immediate and negative effect”, but added that the economy is prepared and able to withstand a “sudden adverse shock”. “We are ready to act,” he added in a defiant tone, stating that preparations have been long underway. His comments come as Brexit talks between the UK and the EU are still deadlocked just a day before a crucial meaningful vote in the House of Commons. Yet again, this week will see the spotlight squarely on Westminster with MPs set to determine the course of the UK’s future with a series of crucial votes on Brexit. There are less than three weeks to go until the UK is due to leave the EU on 29 March, so the stakes couldn’t be higher. Tánaiste Simon Coveney appeared to confirm today that British Prime Minister Theresa May will travel to Strasbourg this evening, however others state that her travel plans have not been locked down as of yet. He said he hoped May and Jean Claude Juncker could reach agreement, though he said there are obstacles that still need to be overcome. 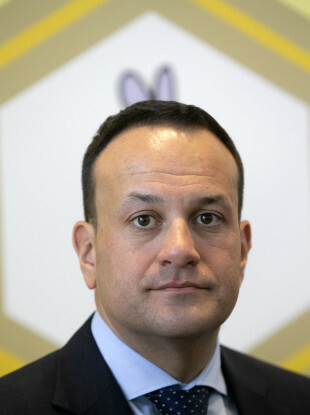 Coveney added that this is not a case of the UK versus Europe, stating that “nobody is looking to trap anybody anywhere”. While the message about the impacts on Ireland were stark, Coveney remains hopeful that a no-deal Brexit can be avoided, though he admits, no one knows what may come. “We can’t be sure, of course, of anything in Westminster these days,” he said, adding that it is about putting together a package of measures that can give reassurances to the UK. “As I’ve always said, no deal is not a threat that the European Union or Ireland is making. The 29 March is a self-imposed deadline. The UK parliament can take the threat of no-deal off the table at any time. “If there is going to be an extension though, it has to be an extension with a purpose, and nobody across the European Union wants to see a rolling cliff edge where tough decisions get put off until the end of April, then until the end of May and then maybe until the end of July,” he said. Varadkar added that the prospect of the House of Commons vote being called off in favour of a new one “misses the point”. “I do hear some suggestion that the vote may be called off in favour of a new vote as a result of which the House of Commons would tell the EU what they want, that really misses the point. It’s far too late for the UK to tell us what they want. The withdrawal agreement requires a compromise and this withdrawal agreement is already a compromise. Theresa May’s Withdrawal Agreement was rejected by the House of Commons by 230 votes in January this year – the largest defeat for a modern British government. After this defeat, which MPs said was based on an opposition to the backstop, May pledged that she would return to the European Union and ask for the changes needed to get her deal passed. Among the suggestions requested by the British side was a time limit on the backstop, or the power to withdraw from the backstop without the EU’s approval. However, despite numerous talks with the EU since then, little has changed in the withdrawal agreement with the Irish government and Brussels refusing to back down on the backstop. Downing Street has said that talks between the EU and UK are still deadlocked, the BBC has reported. It said that May spoke with European Commission president Jean-Claude Juncker last night after a weekend of negotiations failed to find a breakthrough. While there were reports that there would be delays, it is understood that MPs will tomorrow vote again on May’s Withdrawal Agreement. Explainer: What on earth is going to happen in Westminster next week? Yesterday, the former Brexit secretary David Davis said Prime Minister Theresa May’s draft Brexit deal is “dreadful” and, in a way, worse than the UK’s current EU membership. “Frankly this deal is worse than current membership in one sense because we can’t get out of it,” he told the BBC’s Andrew Marr Show. He said that it was “a dreadful deal on many, many counts”, but added that if the UK could leave the backstop whenever it chooses, that it might be “rescuable”. “I would love to be able to vote for it, if she gets the ability to pull out,” he said. Throughout this whole process, I’ve been trying to get the Prime Minister to keep the thing rescuable, and at one point in July decided it wasn’t. Davis said that EU leaders were “shocked” after the deal was rejected, and “that the language changed”. Davis also said that he’s not hoping for a no-deal Brexit, but that it needs to be kept as a viable option “because it’s what keeps bringing the European Union back”. But this offer from Barnier is unlikely to be enough. “It is inevitable this unchanged withdrawal agreement will be voted down again,” two senior Brexit-supporting MPs, Steve Baker and Nigel Dodds, warned yesterday. With reporting by Christina Finn, Sean Murray, Gráinne Ní Aodha and AFP. Email “'We are approaching the position of a hard Brexit' says Donohoe, as clock ticks down to crucial meaningful vote”. Feedback on “'We are approaching the position of a hard Brexit' says Donohoe, as clock ticks down to crucial meaningful vote”.